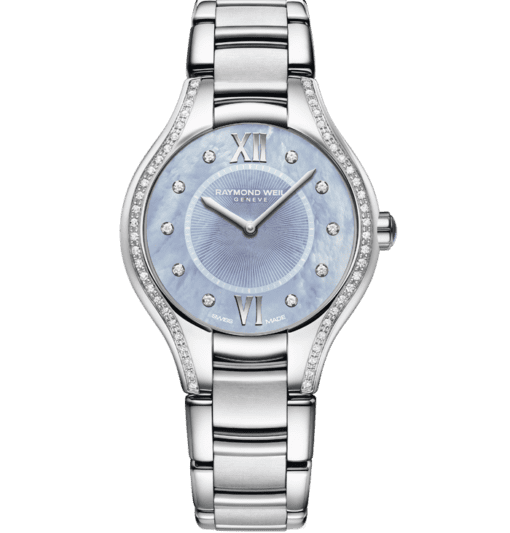 This exquisite blue diamond quartz watch is from the highly coveted noemia collection and features a 32mm stainless steel case, delicate blue mother-of-pearl dial set with 10 sparkling diamonds to mark the hours with a further 52 on the bezel and 2 silver Roman numerals standing at 12 and 6 o’clock. 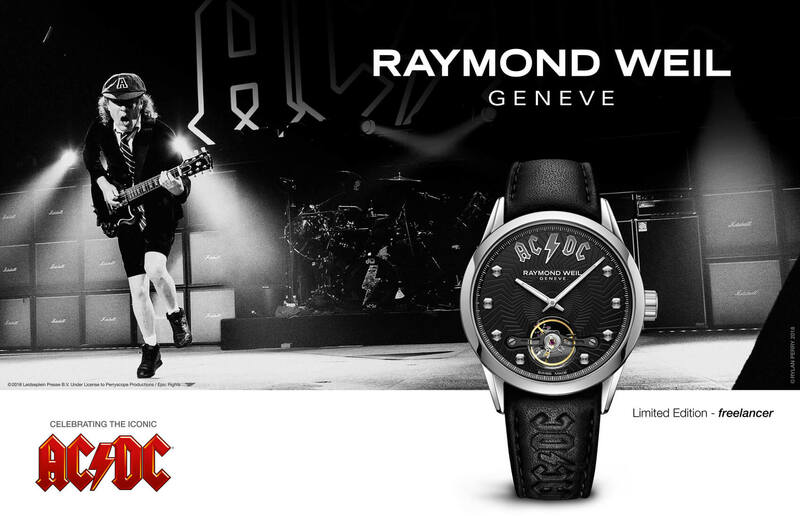 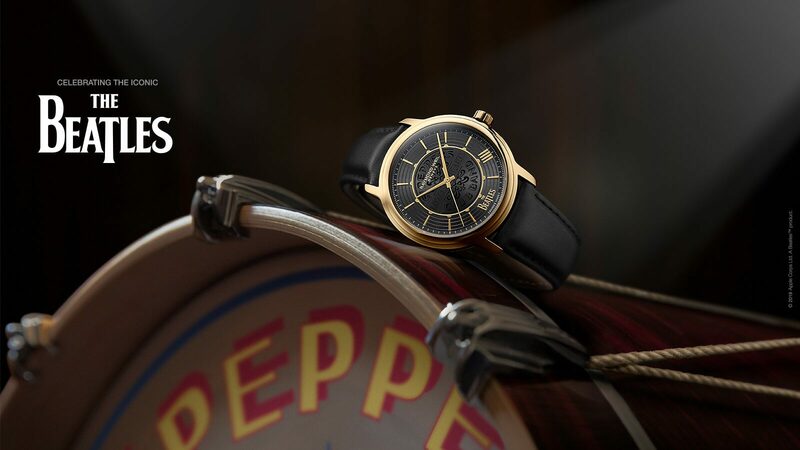 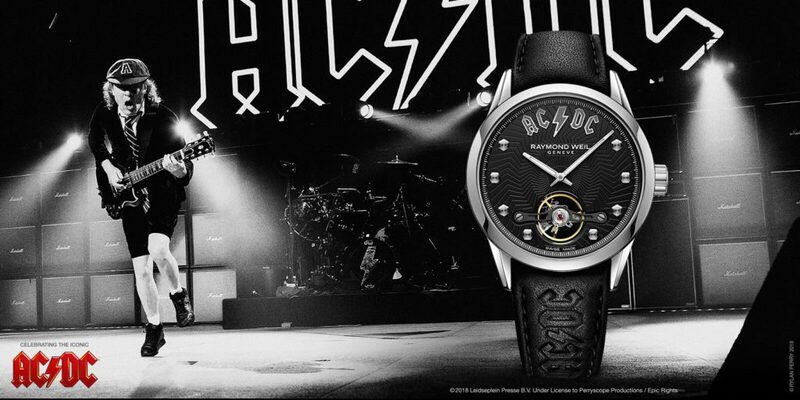 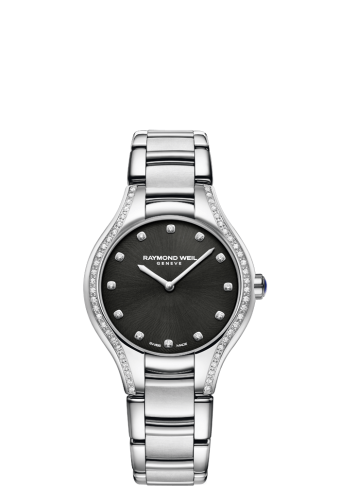 The crown boasts a veil of midnight lacquer which affirms the dual identity of this watch – both sweet and desirable. Named after the granddaughter of Mr. Raymond Weil, the noemia collection captures an elegance and timeless style with a touch of contemporary. 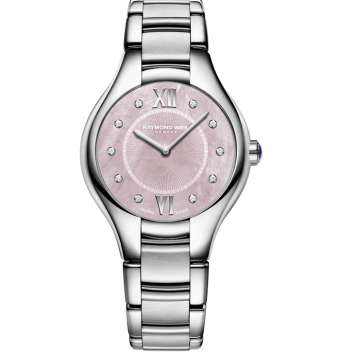 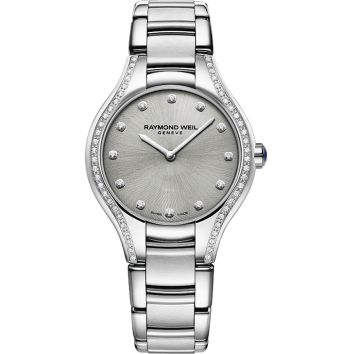 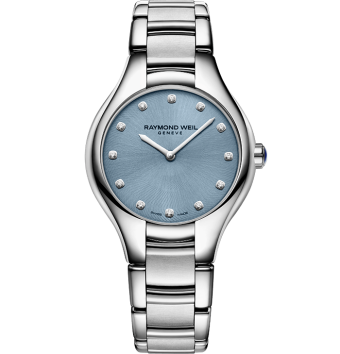 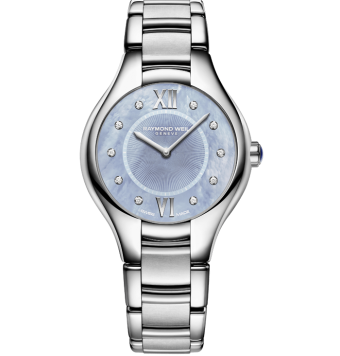 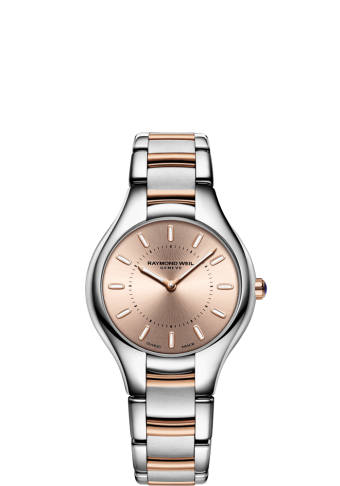 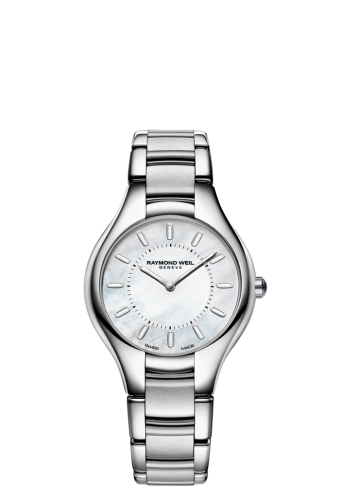 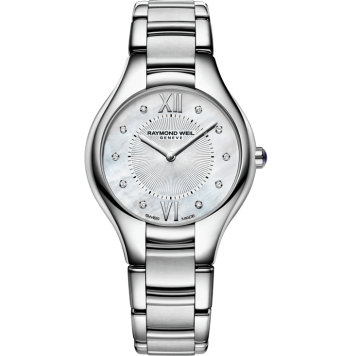 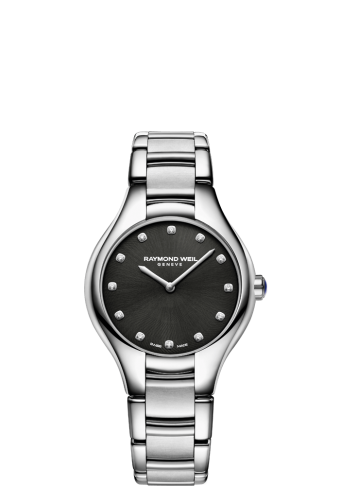 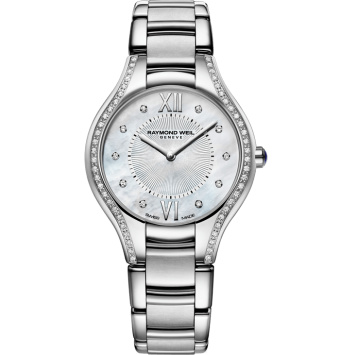 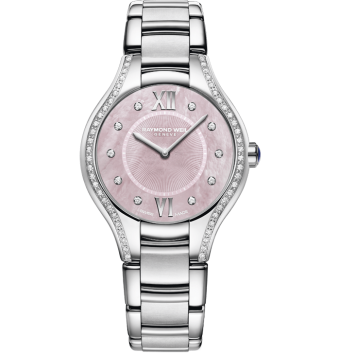 This feminine timepiece fitted with a quartz movement is available in 24, 32 or 36mm case to accommodate all wrist sizes. The gracefully formed horns of the bezel merge with the sleek stainless steel bracelet which includes polished and satin-finish links and displays curved and rounded contours. This watch is great for everyday wear or special occasions and will impress a woman who appreciates beauty.